Shopping for Dark Shadows Action Figures? Take a trip into the mysterious unknown with Dark Shadows! The classic gothic soap opera returns… in action figure form! Bring home the Dark Shadows werewolf! A gothic soap opera that originally aired from 1966 to 1971, Dark Shadows featured many storylines that were at the time unprecedented in daytime television - ghosts, vampires, werewolves, zombies, witches, time travel, and parallel universes... just to name a few! 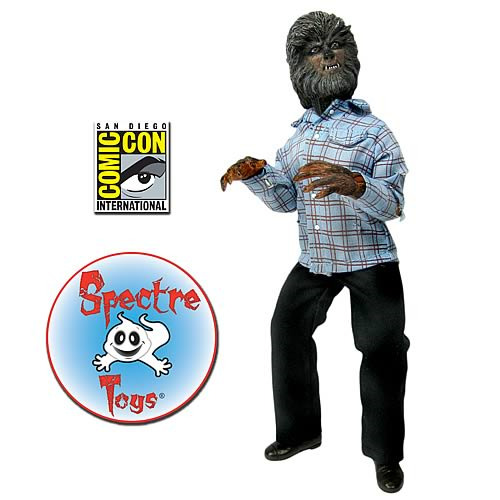 Now you can celebrate the classic supernatural series with this incredibly detailed, 8-inch tall Werewolf Action Figure, based on the character portrayed by actor Chris Jennings.